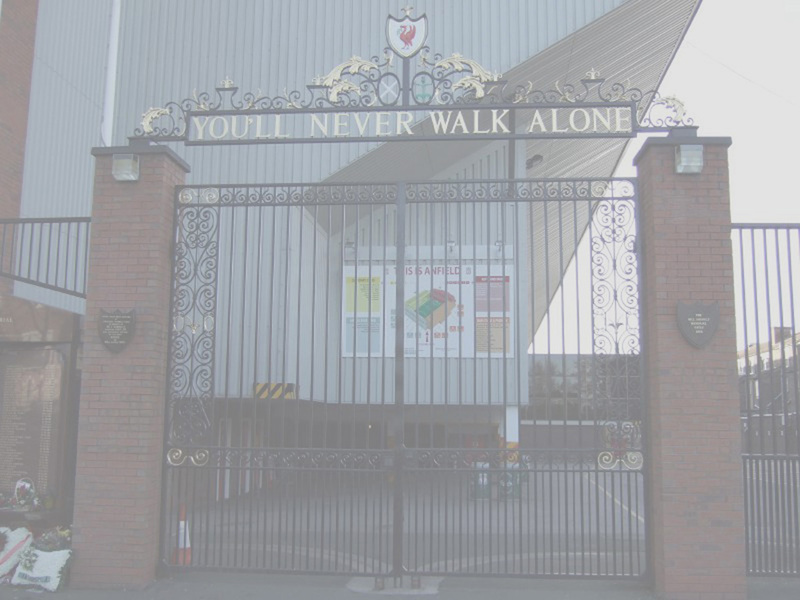 Liverpool's sharpshooter supreme Ian Rush scored with a bumper pay-out as Anfield paid homage to its greatest soccer striking legend. A crowd of 25,856 grossed club record receipts for a testimonial of around UKP500,000 for the then 33-year-old Welshman who has become as identified with the red of Liverpool as any player of the past 25 years. Stig Bjornebye, Steve McManaman and a Mark McNally own goal put Liverpool three ahead at the interval with second-half strikes from Phil Babb an Neil Ruddock adding to the pain for the Bhoys. David James (#1), Steve Harkness (#2), Stig Bjornebye (#3), John Scales (#4), Phil Babb (#5), Neil Ruddock (#6), Nigel Clough (#8), Ian Rush (#9), Michael Thomas (#10), Robbie Fowler (#11) and Steve McManaman (#12). Two named and used substitutes were Kenny Daglish (#7) and Mark Walters (#15). 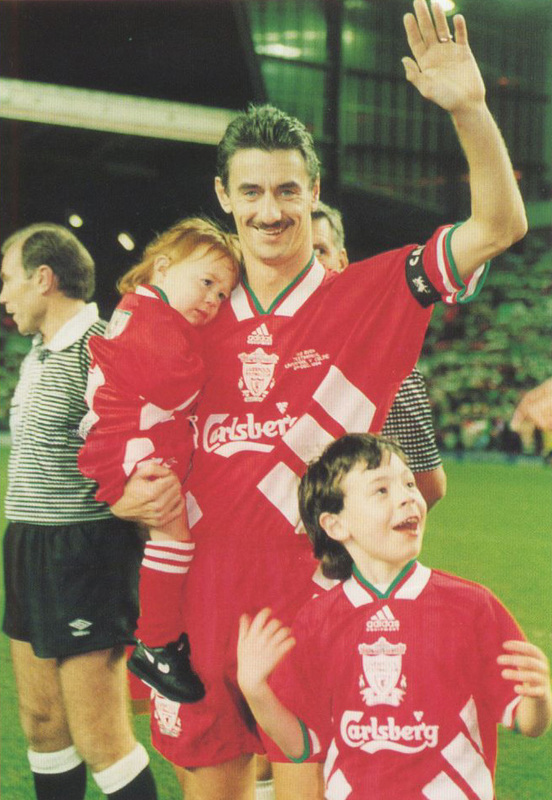 Ian Rush together with his two sons, Jonathan and Daniel, walking on the pitch before kick-off. 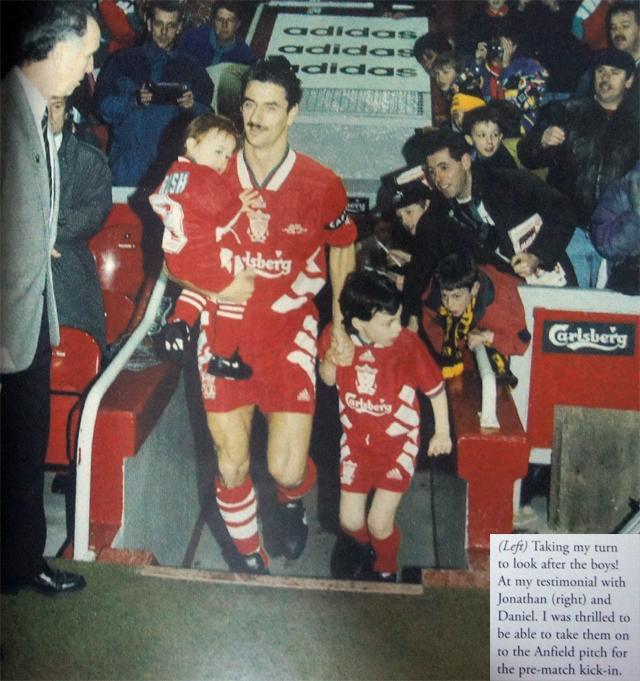 Ian Rush together with his two sons, Jonathan and Daniel, stepping out from the dugout to the pitch. "Rush Hattrick" in the changing room. There were four "Liverpool number 9" in this match - Ian Rush, his two sons, and Gerry Marsten of Gerry and the Pacemaker. 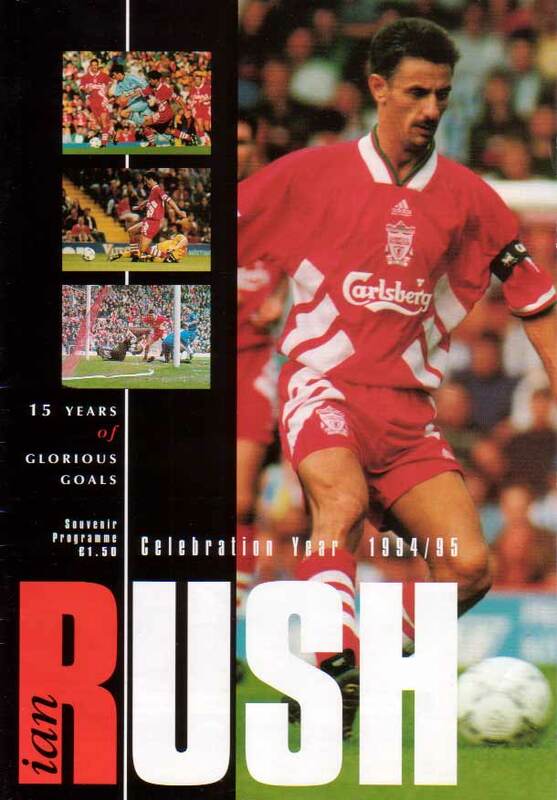 Featured central defender John Scales in match action, wearing the number 4 shirt in the Ian Rush Testimonial Match. The squad list for the testimonial match. Note that Robbie Fowler wore #11 shirt instead of #23. 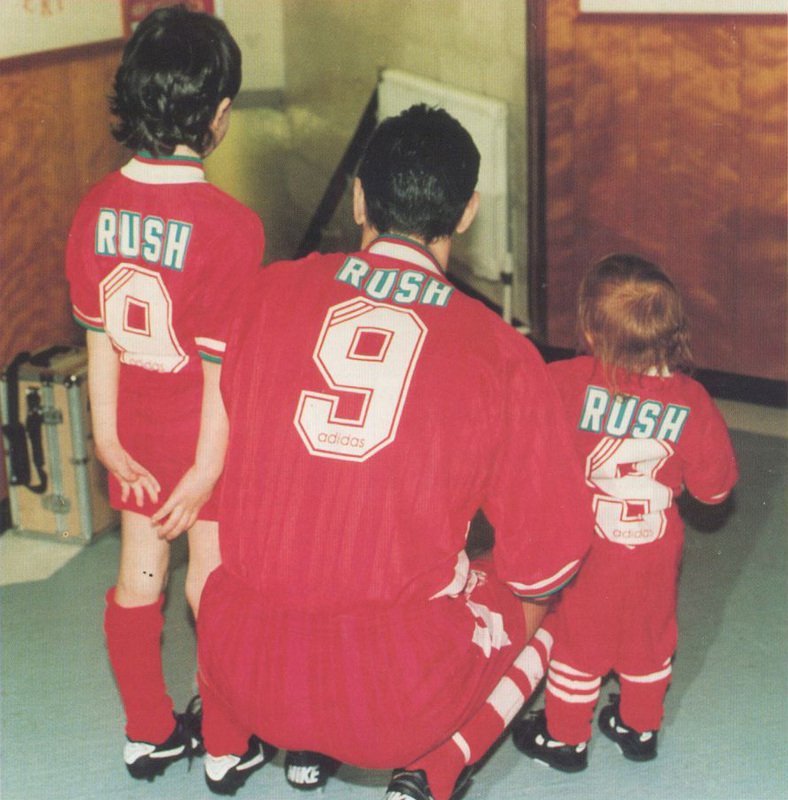 Except for Ian Rush, all other players' shirts do not carry the name above the number. Featured Stig Bjournebye (#3), John Scales (#4), Nei Ruddock (#6) and Ian Rush (#9) shaking hands with Celtic players after the full time whistle was blown. Featured John Scales (#4) and Michael Thomas (#10) concerning about injured Steve McManaman (#12) lying in pain on the pitch. 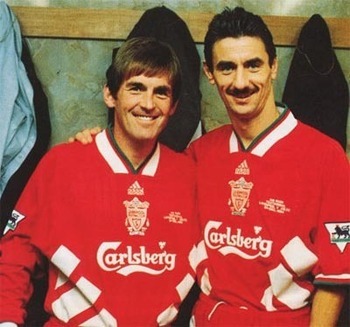 A photo taken between the "7+9 combination of the 1980s" - Ian Rush and Kenny Dalglish. 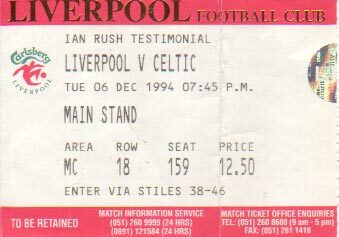 It's worth noting that Kenny Dalglish was the only retired Liverpool Legend who played in this testimonial match. 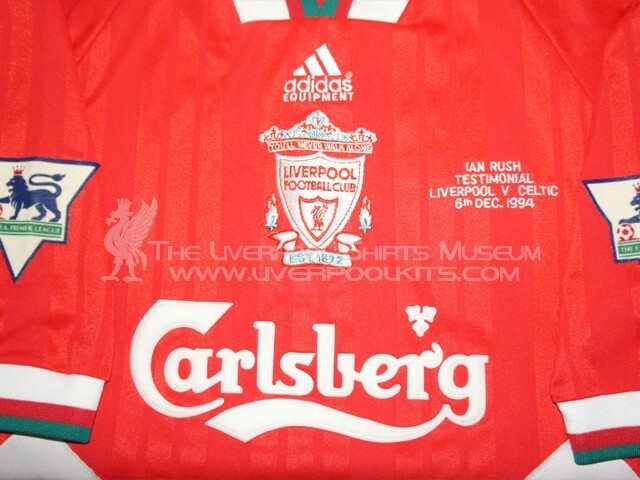 Liverpool 1994 Ian Rush Testimonial Match Player Shirt - This is the actual match worn shirt of John Scales. 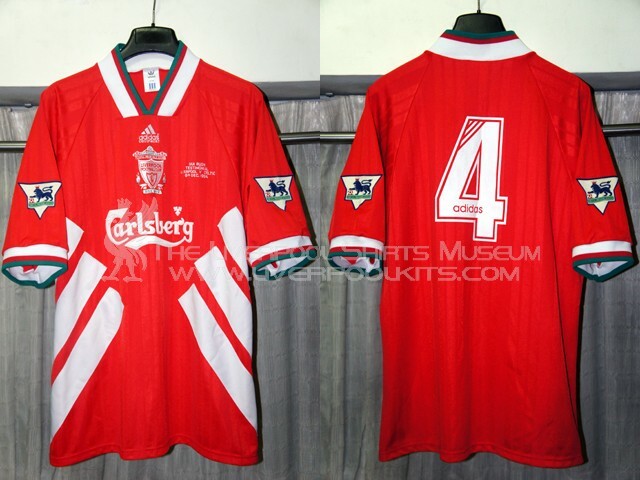 The front of the 1994 Ian Rush Testmonial Match Player Shirt carries a special match embroidery.